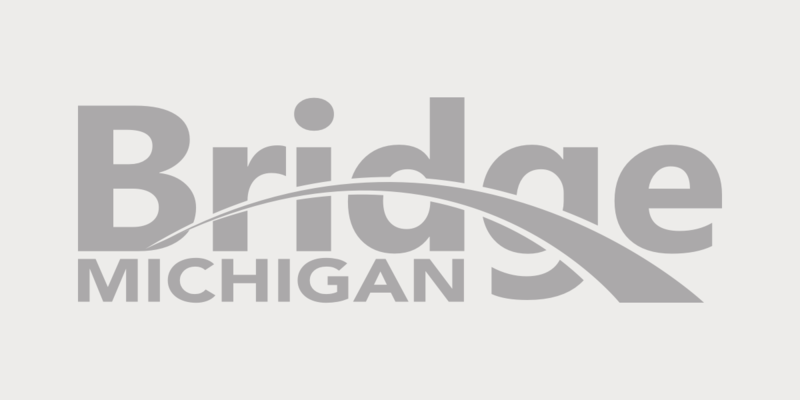 Bridge Magazine recently conducted an exhaustive analysis of class size in Michigan schools -- poring through reams of academic research, unleashing powerful computer programs on data from every school building in the state and hiring people to conduct telephone interviews. And we’re pretty sure we know less now than when we started. Are there more kids packed into classrooms today than a decade ago? We have no idea. Do students in smaller-than-average classrooms do better academically? How about kids in larger than average? We got nothin’. The Michigan Department of Education is the Fort Knox of data. With just a few clicks, we can tell the number of children of migrant workers who graduated on-time from high school in 2011-12 (41); we can identify the percentage of Hispanic students from Mason High School in 2007-08 who enrolled in community colleges within 16 months of graduation (67 percent); we can even state unequivocally how many Ewen-Trout Creek Consolidated Schools students enrolled in Watersmeet Township classes last year through school choice (2). But Michigan does not keep tabs on the number of students in your child’s classroom. It seems like an awfully big oversight, especially when class size is a common concern – a basic consumer issue -- among parents, students and educators. A belief that class sizes are growing was a common refrain during community conversations on education reform sponsored by The Center for Michigan last year. Among more than 7,500 Michigan residents who took part in community conversations across the state, 71 percent supported reducing class size. So how crowded are classrooms today? It turns out that class size is a lot more difficult to determine than you’d think. The average class size in U.S. public elementary schools was 20 in 2008, the most recent year available from the National Center for Education Statistics. But those figures are about as factual as “the dog ate my homework” excuses. The data doesn’t take into account special education classes, which are smaller. In addition, some teachers are specialists, teaching art or music to students pulled out of their regular classes. Confronting inaccurate federal data and a complete absence of Michigan data, we decided on a DIY approach. Armed with a list of schools, a database of students by grade by building and the high hopes of two Central Michigan University students, we attempted to create our own statistics. But in two out of three schools, there were problems that made the data iffy -- at best. Some schools had combined-grade classes, making them impossible to compare to other schools. One extra kid could force a school to switch from one class of 29 third-graders to two classes of 15. And even among the schools for which we had complete data, we only had 2012-13 class size; there was no way to determine if class size was growing or shrinking -- or the impact of changing class size on academic results. There is debate over whether class size matters. Some studies don’t show an impact at all. Others show class size has an impact in early grades, particularly among low-income children. No matter the scientific impact on learning, however, big classes, or the perception of big classes, are a consumer issue. And if the state wants to keep those consumers, they should pay attention. The Michigan Department of Education requires the reporting of dozens of data points from schools each year. MDE could add one more: the number of students in each of its traditional, one-grade classrooms – with the results broken down by individual classrooms in each individual school (rather than district-wide data). That way, parents could easily compare the size of their children’s classrooms with other schools down the street, across their school district, in neighboring districts and across the state. Pretty quickly, parents could know whether class sizes are truly changing over time, rather than be governed by PTA anecdotes or their own unscientific suspicions. Before long, someone could examine in much greater detail whether class size has an impact on learning. Someone, say, like Bridge Magazine. It’s commonplace these days to use our phones to track second-by-second changes in the stock market, or instantly retrieve a favorite player’s batting average. So, what’s more important? Whether Miguel Cabrera hits .400 this year? Or how many other children your child competes with for a teacher’s attention? You will hear that class size doesn't matter, but it does. It is even more important now that many classes are mixed with different levels of ability and students with disabilities. Great idea Bridge. If you ask a stupid question- you get a stupid answer. CLASS SIZE I f a teacher is incompetent - having a small class size will allow her to not work as hard- make her job easier- than a larger class size. It will not make her change her attitude toward the children or improve her teaching skills. Therefore, it will not have much of an impact on the children in her classes. If a teacher is competent- she-or he- will take advantage of the opportunities it will give to make the most of individualizing the learning- - and using other techniques difficult if not impossible to use with large numbers of children. So a competent teacher will have a significantly positive impact on the the children's education. Class size does matter. Think about it this way; in business the ideal span of control for a manager is 15-20 employees. This allows for optimum interaction, monitoring and assessment. School administrators are routinely asked to supervise 30 or more employees (teachers, para educators, secretaries and custodians) in a building. Teachers are not only responsible for knowing and teaching the content, but also are truly managers of the classroom. With each additional child in a classroom the relationships multiply exponentially. One child does not just bring on one more set of responsibilities, but the child needs relationships that must be built among the other children and adults in the classroom. If the education "de-formers" want to compare schools to business then why should schools be held to a different standard? So, you want to know "the number of students in each of its traditional, one-grade classrooms." Why focus on what may increasingly be an anachronism - the "traditional" classroom with 15-30 students in rows, a teacher, U.S. flag and blackboard in front. Most of the literature suggests schools are going the way of flipped classrooms, blended learning, expanded online classes, etc. I wouldn't be so sure. Education fads come and go. However, one reason to know class size numbers is to be able to have a baseline from which to compare how these new on-line/hybrid schools/programs do academically over time. If it is just information being presented and memorized and tested with multiple guess high stakes tests, then class size doesn't matter and the online/hybrid classes will work fine, at least for those students in districts with money/computers/high speed internet access. For learning to read and think critically and put information/knowledge/ideas into practice (hands on applications), class size and teachers will still matter. One of the biggest problems in education is these fads come and go and we never seem to get longitudinal research to find out what really works. "However, one reason to know class size numbers is to be able to have a baseline from which to compare how these new on-line/hybrid schools/programs do academically over time." Slowly and carefully, explain why measuring an input would give you a baseline. Why not measure outputs? Are we interested in how many resources we invest, or results? Mr. Richards, Knowing where students begin is how you know the distance they have come. This is extremely important in education (and in other domains as well). If you want to look at outputs in terms of student achievement, you need to know where they started. A teacher who has a class of students who are on level for their grade and age, doesn't have as big a challenge as the teacher who has a class of students who begin the year 3 or 4 years behind their grade level and age mates. To simply assess how many students in each class have mastered the content for their grade level doesn't capture the respective challenges of those two teachers. Those "input" factors are key to figuring out how well instruction has worked during that year. They are also highly likely to be related to the effects that class size can have on instruction and learning. Class size is a data INPUT statistic that is emotionally charged and very difficult to quantify. State reported data gives us a reasonable proxy in its report of ratios of students to teachers (in Bulletin 1014). In 2011-12, the statewide average was 23 students to one teacher (includes general and special education teachers and students). In 1997-98, that ratio was 22. Michigan has shed over 130,000 students and 10,000 teachers. If normalized at 97-98 levels, we'd have 3,000 more teachers. Class sizes are going up, or course offerings are decreasing, or some likely combo of both. (The bigger story is Michigan's shrinking population though.) But data inputs should not be the question anymore. Bridge asks if "class size has an impact on student learning." A better question for Bridge to ask is, "can we agree on a better way to define or measure student learning?" Unless asked, we remain chained to the old measures (standardized test scores, GPA, blah blah blah). Google knows a thing or two about data. Read this story for their opinion on the relevance (or lack thereof) of the old measures of student learning on employee performance. http://www.nytimes.com/2013/06/20/business/in-head-hunting-big-data-may-... And isn't it the state politicians mantra that public education is all about getting us ready for the workforce needs of the future? Bridge, ask what are the OUTPUTS we seek and let that guide policy making. "That way, parents could easily compare the size of their children’s classrooms with other schools down the street, across their school district, in neighboring districts and across the state." This is lucicrous. What is the point? Are people that consumed with equality? Should parents be interested in whether their child is getting the same amount of attention as someone else's child, or whether their child is receiving an education as good as anybody else's child? Is there any evidence that class size is a good proxy for quality of education? "Before long, someone could examine in much greater detail whether class size has an impact on learning. Someone, say, like Bridge Magazine." Why reinvent the wheel? I'm sure the literature has dozens of studies examining the relationship. Over the last fifty years the number of teachers per student has doubled. Wouldn't that give you a clue about the effectiveness of reducing class sizes? Taiwan has seventy students in a class and they get better results. Balderdash! What information is contained in the data, in this case class size? NONE. You can slice and dice this number a million ways but it will still tell us nothing - nada - zip - about learning. Small class sizes make sense since it gives a teacher the opportunity to know each individual student but after elementary it is meaningless since the system demands that teachers see at least 150 students each day for a truncated session of less than sixty minutes interrupted by all kinds of administrative chores such as collecting data for the MDE . Why is size alone meaningless? Because it allows us to ignore the context and ignores what we should be measuring, learning. Data presented without context are effectively rendered meaningless. Bottom line if you want to know if a child is learning, ask a teacher. Ask the child. Observe, listen. Stuff you cannot derive a number from. If we cannot create a system of education that allows us to do that then we have failed. I think class size is very important. There is a big difference from a teacher working with 20 students as opposed to 40. I just spoke with a teacher over the weekend. When school started last year she had 70 students in her class! How could she be expected to effectively teach them? Why not ask the educators if class size matters in their work? We do not treat our educators as professionals who know their craft. If they are not professionals, who know their craft, why are they given a class full of children to instruct? Class size is one of the variables to consider when evaluating our educational systems. If this variable is dismissed as unimportant, the data and the analysis is incomplete. It is quite simply, there is no accurate data on class size rather than sampling each an every classroom in a school then compiling the data, subtracting non-standard classes such as ELL, CI, Band and PE as these are disproportionally large or small. Focus on core academics only you will then come up with entirely false data. Methodology #2: Entire number of students in a building divide by the number of teachers and you will get the average number of students per class. Error here this does not take into account planning periods or other duties as assigned outside of the classroom and will lower the overall number of students per class by 18% or more. Class size is a critical factor in student achievement, research across the board has shown this for decades, student to teacher ratios that are high or very low negatively impact achievement. The challenge is how do we get schools to accurately report the data and not focus on what CBA dictates or public perception for marketing reasons?